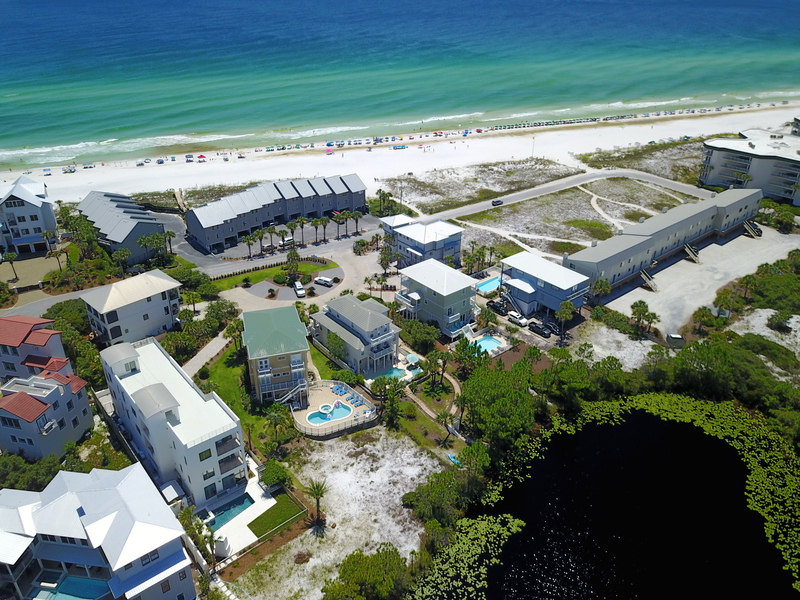 Daniel Dunes is located on the beautiful Emerald Coast of the Florida Panhandle. Surrounded by Deer Lake State Park, Eastern Lake to the West, and the Gulf of Mexico to the South; this home backs up to a lake with expansive westerly views of the gulf. From door to sand is less than a minute walk making it easy to head back in for lunch or a nap! 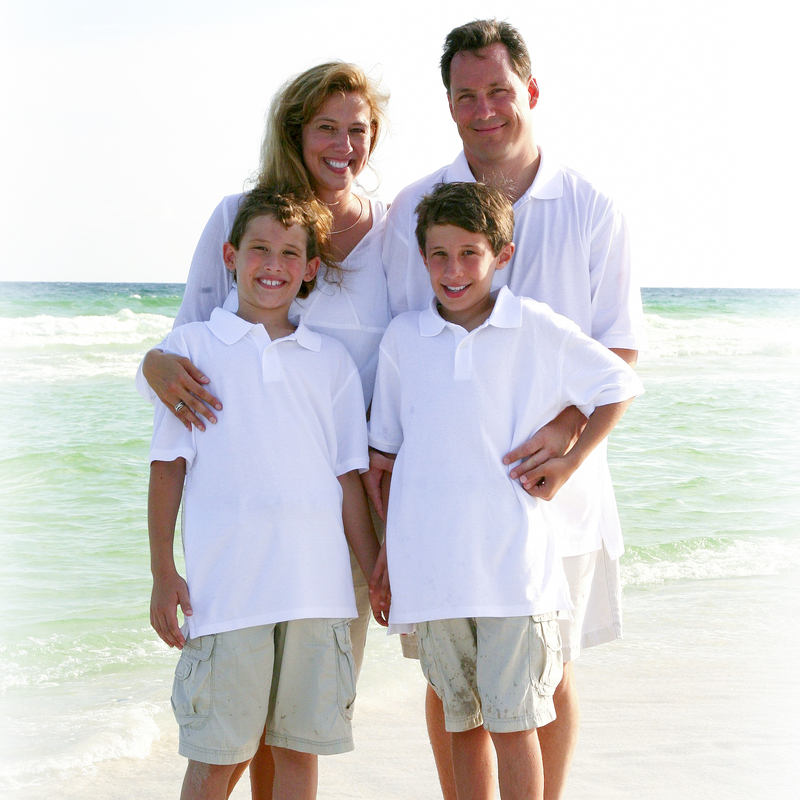 The area surrounding our home is one of the best locations in the Seagrove Beach area. Situated between two lakes south of 30a, there is very little traffic. The house is on a small cul-de-sac off a dead end road making it ideal for little ones to have fun cycling. Ample bike paths great for rides to the Seagrove area restaurants and shopping; or ride on to Seaside for more activities. Also, Deer Lake State Park is within walking distance and has many trails to explore. Deer Lake is a rare coastal dune lake only found a few places in the world! 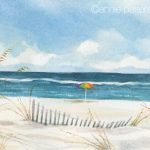 The beaches are well maintained and never crowded – no need to get up early and put out umbrellas. Located approximately half way between Panama City and Destin, you have less than a 30 minute drive to either destination. Gulf fishing is available in both along with a large variety of shopping and other activities. This 5 bedroom/4 bath home that sleeps up to 17. Please note this is a non-smoking property both inside and outside. Decks surrounding the house boast great gulf and lake views. A private pool is located on the lakeside of the house. The pool can be heated for an additional fee of $300/week or $50/day. There is also a ping pong table in the garage to entertain your party during times of inclement weather. We do have about a dozen bicycles in the garage available for our guests to use, however, we cannot guarantee their condition from guest to guest. If you need additional bicycles after you arrive, we can refer you to several local vendors who will drop off and pick up the bicycles for your stay. Beautiful home by a beautiful quiet beach!!! We had a wonderful week at Daniel Dunes. The house was clean, well stocked and very spacious. We spent our days using the kayak and paddle boards on the ocean, enjoyed seeing many ocean creatures (one day we saw 5 dolphins and one of the paddle boards was within a paddle length of a mom & baby dolphin swimming by! ), road the bikes for miles everyday, riding through the different neighbourhoods of 30A and played in the pool whenever we could fit it in. We really enjoyed all the balconies and ate all our meals outside while enjoying the views. We had a problem with the door lock one evening, but it was dealt with efficiently. I would recommend this house to anyone looking for a beautiful quiet location on 30A.